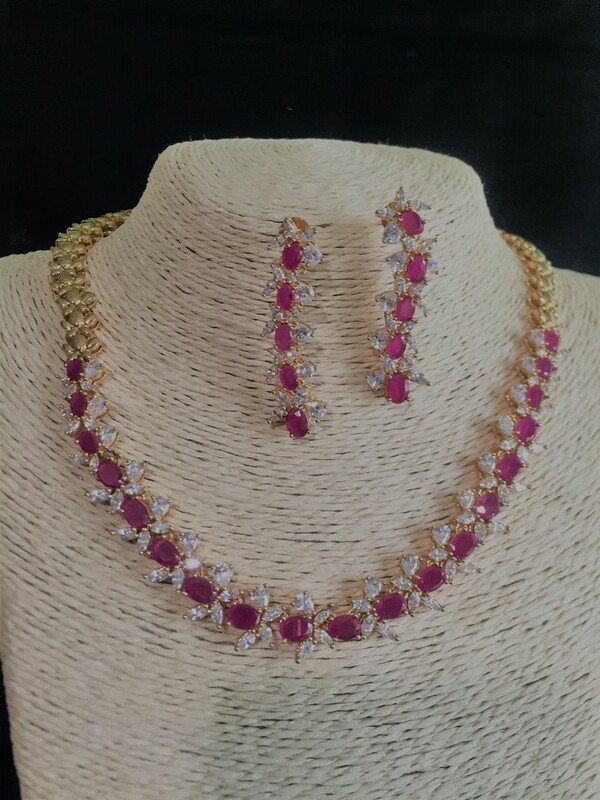 This unique set is made up of beautiful pink oval cubic zirconia stones surrounded by white clear cubic zirconia stones joined together. The pink stones are all the way round the front and followed on by a gold chain in the same design as the stones. Thus making it a stunning set to wear.